We are leaders in manufacturing, fabricating and supplying of acetylene gas plant, which is manufactured in collaboration with ING. L. & A. Boschi of Italy. Best quality raw materials are used in the manufacturing of the machinery. Acetylene is a colorless and highly flammable gas and has garlic-like odor. Our acetylene gas plants come in different capacities and sizes ranging from 25m3/hour to 100 m3/hour. 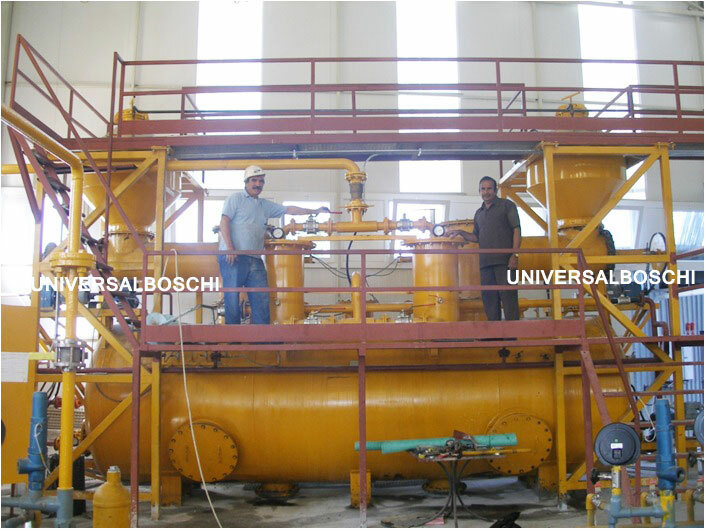 Designs used in the fabricating of the acetylene gas plants are prepared by our engineers in consultation with Boschi. We ensure that our acetylene machinery has got sturdy designs and is equipped with the latest features. Our company wants to ensure that our customers have smooth experience while operating an acetylene gas plant. Our acetylene gas plants are fully automated and can easily be operated by a single person. Manufactured with stainless steel, our acetylene gas generators are durable, reliable and explosion-free. Acetylene gas is generated by the chemical reactions between calcium carbide and water. The reaction produces a great deal of heat, which has to be moderated to stop the acetylene gas from exploding. For compliance with quality standards, we have been given ISO 9008:2015 and CE certifications. 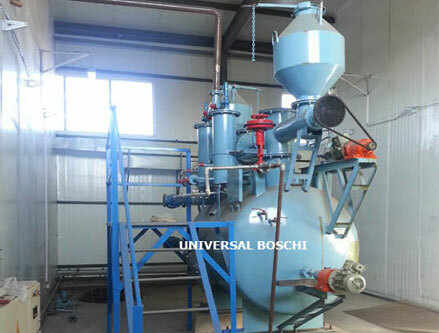 For smooth running of the acetylene machinery, we provide responsive after sales service. Acetylene is produced due to chemical reaction between the calcium and water. The by-product calcium hydroxide is generated automatically from the generator. Acetylene gas is used in cutting and welding torch along with oxygen and it produces the highest temperature of any known oxygen gas mixture. The process is so synchronized as to ensure efficiency and simplicity in operation. Any failure is signaled visually and audibly when an alarm bell rings to alert the operator. Only flame proof lights and electrical fittings according to IS2148-68 (Group II) or BSS-229 may be used in an acetylene plant building. Acetylene cylinders must be of specification IS: 7312: 1974 or ICC: 8. Capacity ranging from 15cum/hour to 200cum/hr of latest technology. 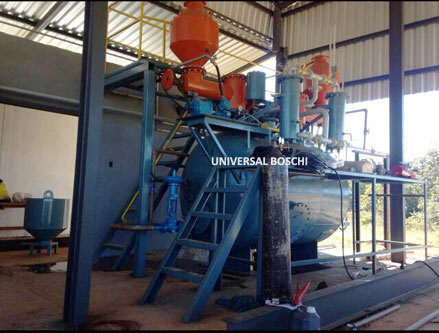 Universal Boschi Brand Acetylene gas plants are of robust design for trouble free working. No bulky gas holder required. Automatic controls for feeding water. Maintaining temperatures, pressures, and slurry drain are full proof, efficient and are of international standard. Excellent absorption of gas in cylinders. No gas loss and high yield. Very simple and safe to operate.